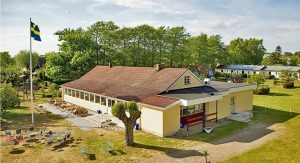 Our conference site is beautifully situated at the coast of the Baltic sea on the southernmost tip of Sweden, close by Trelleborg. It is owned by the united protestant Free Church of Sweden, the Equmenia Church. It is easily accessible by air to Copenhagen and train to Malmö. From there there is a bus connection to Trelleborg and to the conference site. 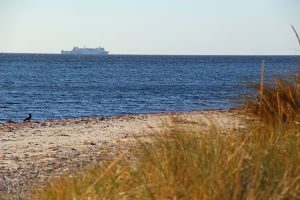 From Germany there is a ferry connection to Trelleborg. Even in September the weather in this region normally will be quite summerly, and a swim in the Baltic sea is highly recommendable. Accommodation will be in small appartement houses and huts surrounding the main building which contains conference rooms, dining room and a chapel. Some of the conference rooms have induction loops. If needed we will even provide portable loop systems. Our conference lecturers are coming from Germany, Norway and Sweden.